Common Types of Tooth Injuries and How to Treat Them - Maritato Dental, L.L.C. 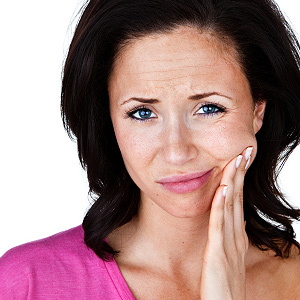 Although naturally resilient, your teeth still face some significant dangers. Tooth decay and gum disease, “enemies” within the mouth, can severely damage your teeth and eventually lead to their loss. But there are also external dangers just as devastating — traumatic injuries that can happen in the blink of an eye. Fortunately, we can treat even the most serious of these injuries and increase the chances of an injured tooth’s survival. Chipped or Fractured Teeth. This is a case where a part of the tooth has been broken but it’s still firmly rooted in the mouth. If small portions of the enamel or dentin (the next underlying layer of the tooth) have been chipped, we may be able to reattach them or fill the affected tooth area with a natural-colored filling (larger broken portions may require a complete crown). If the damage has injured or exposed the inner pulp, a root canal treatment might be in order to prevent infection and reduce pain. Dislocated (Luxated) Teeth. A dislocation occurs when the impact moves the tooth in an abnormal way in the socket. We must first reposition the tooth and, if need be, stabilize it by splinting it to neighboring teeth. This type of injury may also require a root canal treatment. Knocked out (Avulsed) Teeth. It’s quite possible to replant a knocked out tooth — if you act quickly. Without touching the root, the tooth should be rinsed with cold, clean water and then placed into the empty socket within five minutes of the injury. If placement isn’t possible, the tooth should be placed in a container with milk or with some of the injured person’s collected saliva (to keep the root from drying out), and sent with the injured person to treatment. We need to see the injured person as soon as possible to make sure the tooth is repositioned properly and take other measures to protect it. We’ll also need to monitor it for proper healing for awhile. Although some injuries may be too severe to save a traumatized tooth, seeking immediate treatment certainly increases the chances for survival. If you or a family member experiences such an injury, keep calm and contact us immediately.